Dr. Chui received her doctorate from Johns Hopkins University and completed her internship at the University of Iowa, Neurology. She is internationally recognized for her research in Alzheimer’s disease and vascular cognitive impairment. She is the principal investigator for the NIA-funded Alzheimer’s Disease Research Center, as well as a multi-institutional program project on vascular dementia. 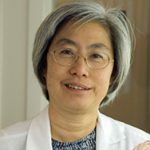 Dr. Chui is the author of more than 120 publications and has served on the editorial board for Stroke, Alzheimer’s Disease and Associated Disorders, and Archives of Neurology. She holds the Raymond and Betty McCarron endowed Chair at the Keck School of Medicine and serves as the Chair of the Department of Neurology. She is also a member of the American Academy of Neurology, the American Neurological Association, and the Society for Neuroscience. Dr. Chui was voted a Top Doctor by Pasadena Magazine in 2011. 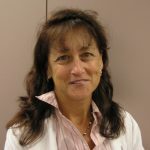 2011 list of America’s Top Doctors, compiled by Castle Connolly Medical Ltd.
Freddi Segal-Gidan, PA, PhD is a physician assistant and gerontologist. Dr. Segal-Gidan is the director of the Rancho/USC California Alzheimer’s Disease Center, and holds appointments as assistant clinical professor, department of neurology and family medicine in the Keck School of Medicine, University of Southern California (USC), and assistant clinical professor of gerontology at the L. Davis School of Gerontology at USC. Dr. Segal-Gidan received her medical training at the Johns Hopkins University Health Associate Program and was awarded her doctoral degree in gerontology-public policy from the University of Southern California Leonard Davis School of Gerontology. Dr. Pawluczyk was born in Buenos Aires, Argentina. After receiving her MD doctorate at the Medical School of the University of Buenos Aires, she completed the “Curso Superior de Psiquiatria” at Hospital Borda. She moved to Los Angeles and entered the residency training in Psychiatry at LAC+USC. She did a fellowship in Psychiatry and the Law and in Geriatric Psychiatry. She then joined the Department of Psychiatry and has been part of the Geriatric Studies Center since 1991. 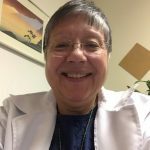 Dr. Pawluczyk practices at the Memory and Aging Center at USC and she is also a consultant at Rancho Los Amigos Hospital. Dr. Pawluczyk is fluent in Spanish and is a member of the American Psychiatry Association and the American Association of Geriatric Psychiatry. John Danner is a Psychiatric Social Worker specializing in dementia care. 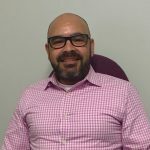 He works with Psychiatrists and Neurologists at the Center providing complete community care for patients, caregivers, and families. He received his M.S.W. at Stony Brook University in New York. He has long been associated with the Rancho Los Amigos Geriatric Neurobehavioral and Alzheimer Center. 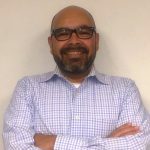 His interests include early diagnosis enhancement, caregiver planning, adult day health care, and end of life care. When a loved one is diagnosed with memory loss or dementia, it is not uncommon for their lives and the lives of family, friends and community to be turned upside down and unravel. 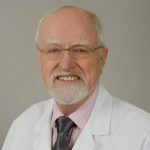 My great passion is to assist families in understanding the condition, educating them and assisting in creating a safe and protective environment for the patient, without stealing their independence and abilities. I thrive on assisting families navigate the intricacies of the condition, strengthen their relationships and create a peaceful loving environment for all. I earned a B.S in Clinical Psychology (CSUN) and a Master’s degree in Social Work (USC). I have worked as a geriatric social worker for most of my professional life. 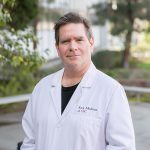 I recently joined the Rancho/USC Neurobehavioral Memory Clinic team and hope to be a valuable addition in the fight against the disease. Ruby provides administrative and IT support to the California Alzheimer’s Disease Center (CADC) and Rancho Research Institute (RRI) located on the campus of Rancho Los Amigos National Rehabilitation Center in Downey California. Ruby received her Bachelor’s degree in Social Work at California State University Los Angeles (CSULA) in 2007. She helps patient’s families with any questions and concerns regarding online forms and submission. 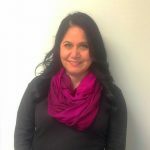 In addition, she also is involved with the organization of the Yearly Alzheimer Greater LA Walk for the “Rising Rancho against Alzheimer’s Team.” Ruby is available to assist you with your clinical and research experience. Veronica helps patients and their families in providing information for the California Alzheimer’s Disease Center (CADC). She also manages New Evaluation Intake forms, schedules appointments, answers questions and concerns, submits insurance information for approvals, and assists the doctors in preparation for clinic. She has worked at Rancho Los Amigos National Rehabilitation Center at the Memory Center and Gerontology Department for over 10 years. 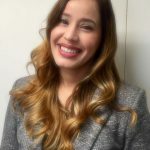 Veronica will assist you in making your visit more efficient and providing you with the help that you need. Alice comes to the healthcare world first via a leadership and creative role in the fashion industry. 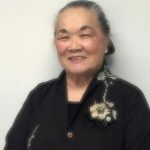 She took an unexpected role as caregiver when her mother, Hatsuye was diagnosed with vascular dementia and her husband, Edward, was diagnosed with myotonic muscular dystrophy…..this is where her true life journey began. She sits on local and national health issue committees and speaks on care issues that are patient and family centered. Today, Alice joins us as the Geriactric Neurobehavior and Alzheimer Center Project Assistant and USC Brain Research Family Liaison.